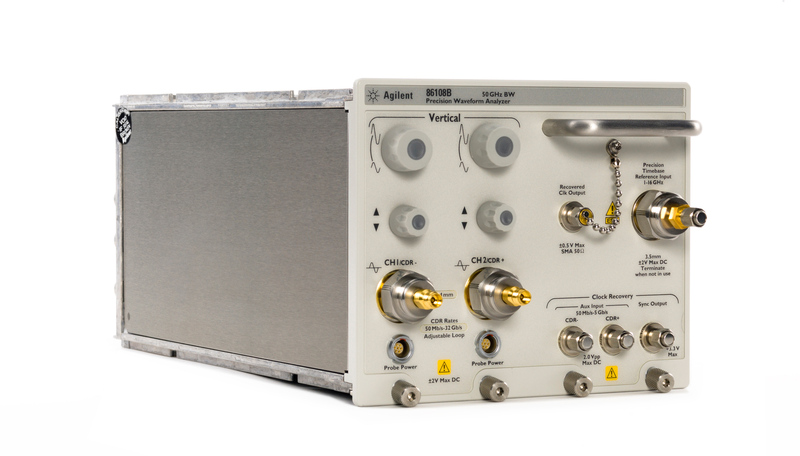 The 86108B Precision Waveform Analyzer integrates a dual channel electrical receiver, instrument-grade clock recovery, and an ultra-low jitter timebase circuit into one DCA plug-in module. 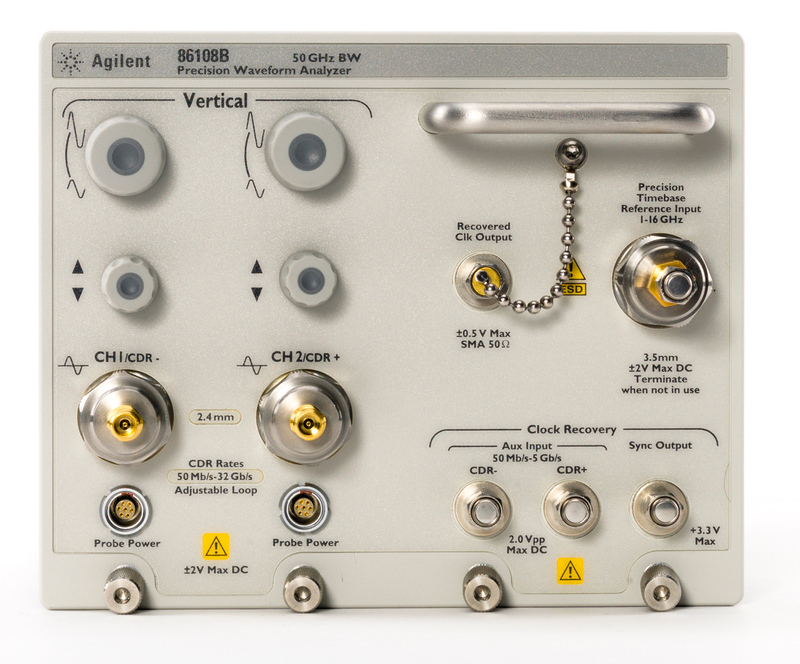 86108B Precision Waveform Analyzer - front view. 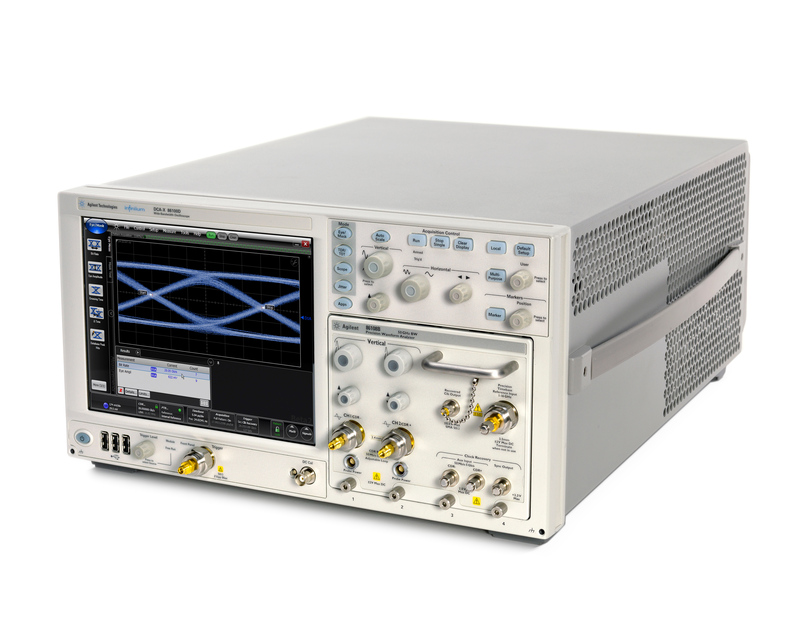 An 86100D DCA-X Wide-Bandwidth Oscilloscope equipped with an 86108B Precision Waveform Analyzer module provides easy and accurate characterization of 10 Gb/s to 32 Gb/s designs. 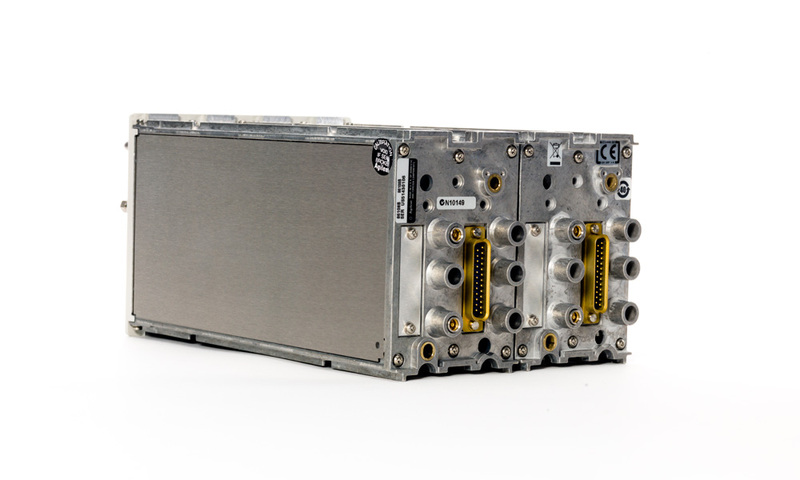 86100D DCA-X mainframe equipped with 86108B Precision Waveform Analyzer plug-in module. 86108B Precision Waveform Analyzer module - side view. 86108B Precision Waveform Analyzer module - rear view. 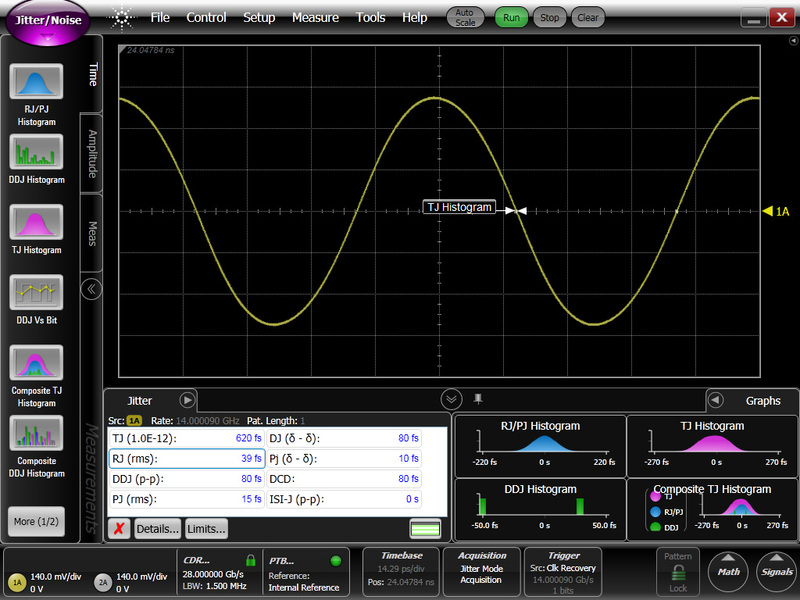 A jitter measurement of a 14 GHz sine wave showing the RJ component at 39 fs rms, indicating the ultra-low residual jitter of the 86108B's integrated clock recovery and timebase.